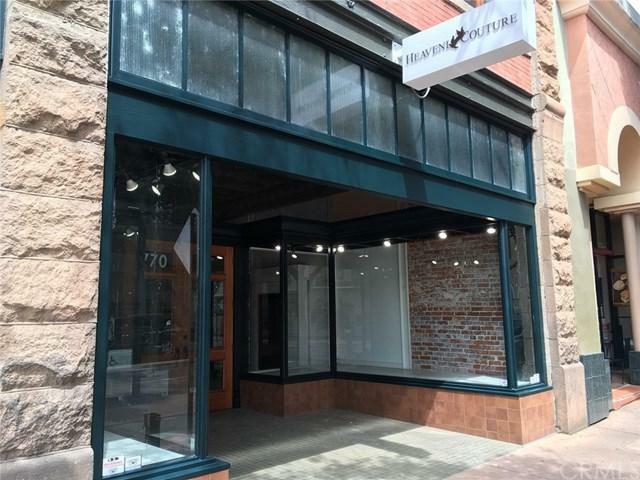 Prime retail space in the Warden Building in the heart of San Luis Obispo+GGs Downtown retail core. The Warden Building was recently renovated and the suite has large display windows at its entrance and a high historic ceiling. Space is leased as-is.